I was recently teaching my fourth graders about letter-writing. When I asked them how they communicate with people who are far away, most of them said they use the phone. Of course, a phone is much different today than when I was their age. With smart phones, people now have apps that let them video chat, talk, text, private message, and all sorts of other things. Since they all gave, “Phone,” as their answer, though, I had the privilege of walking down memory lane. Remember the days of long-distance calling? I remember watching my phone bill so closely to make sure I hadn’t been overcharged. Not to mention watching the clock every single time I was on the phone. Because those long-distance phone calls got expensive! Some months, I made a choice to spend grocery money so I could talk to someone I missed. Ha. I may not love all of the technology that comes with a smart phone, but I do love the way cell phones eliminated those long-distance fees. In any event, later that week, one of my fourth graders was chatting with her mom and told her about our conversation. “Did you know Mrs. Gray was alive when people had to pay for phone calls? Were you alive then, too?” Her mom told her that yes, she lived during the era of long distance and pay phones. I laughed when the mom relayed the conversation to me…then told her I needed to go find my horse and buggy. It got me to thinking, though. As writers, we most naturally write to the generation we know. I spend most of my time with 30-somethings (and grade-schoolers). I feel like I can convincingly write a 30-something. Writing characters in their 20s, though, is a challenge for me. It’s not impossible, but it does stretch me. (Which I tend to think is a good thing.) The current generation of 20-somethings is vastly different than when I was that age. It’s not just a different attitude, though. They’ve actually grown up differently. 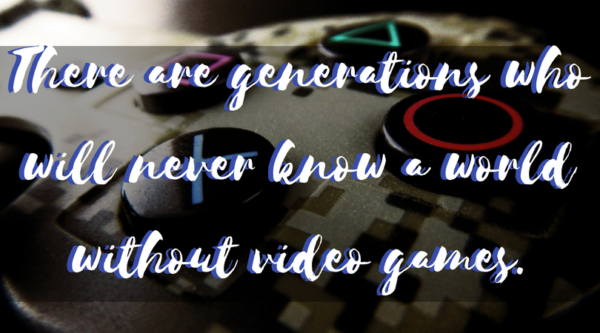 As my son (late teens) once pointed out to me, he has grown up in a world that has always known video games and cell phones. And that reality shapes the way his generation relates to one another and to the world around it. So if I want to convincingly write characters that age, I need to understand how they communicate, how they relate to one another, and how they interact. I need to know their lingo, their priorities, and even their physical mannerisms. I need to have a grasp of how they see the world and what they think of authority and how to make the world a better place. And the only way to get that solid of an understanding of a generation is to have spent real time with them. What about you and what you read? Have you noticed the ages of the characters you most enjoy reading? Are they close to your age, or are they younger? Older? Hi Heather:) The things kids say! Even though I teach high schoolers, I am amazed at some of the things they come up with. My boys (7 an 9) are amazed when I tell them that I grew up without iPads etc. “wow, Mummy, you must be old” they say! I don’t mind reading about different age groups, I have read some fantastic YA books, some with older characters, so long as the story is solid! Hi Wemble! I enjoy reading your posts. As a retired high school English teacher, who has visited schools not only in the USA but in Germany, Switzerland and Japan; I love how children and students are the same around the world. Love the Australian perspective. Technology has changed the world. I enjoy YA, too. Especially YA dystopian, which is funny since I don’t generally read dystopian. :) You’re so right, too! As long as the story is solid, I’m generally happy. Love ❤️ this. Good article and writing. Thank you Ruth! I’m so glad you were able to stop by today! I don’t think I have a favorite age group to read about. I guess that because I love people I like to read about people of all ages. I love how you said this! Loving people does make a huge difference in how we approach not just what we read, but also how we function on the job and at church. I enjoy reading about any age group. I still read young adult and middle school books so I can make recommendations for students. But since you brought it up, I identify with characters my age, and I hadn’t realized that until I read your post! Hi Heather! 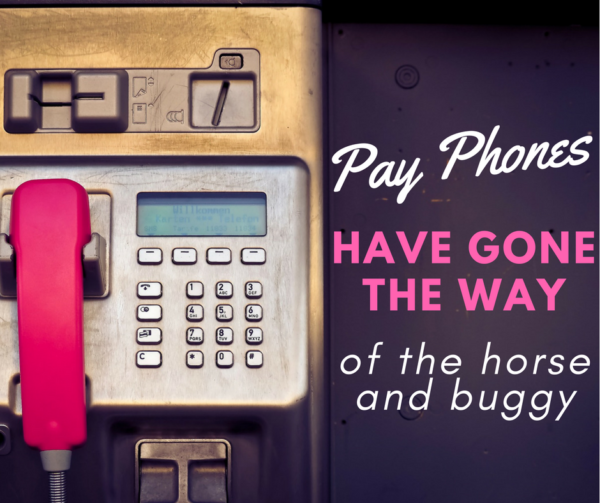 Your blog definitely brought back memories about phones and phone plans. In 1972 when I was engaged to my husband, I purchased “a nickel a minute plan,” so we could talk while he was finishing college. My husband is out of town this weekend visiting a high school friend and I just FaceTimed with him for almost an hour. I remember 3 minute phone calls from my relatives in Germany. Times have changed. As a high school teacher, when I refused to buy an i-pod my students accused me of not being flexible and going with new technology. That is when I explained what I had seen more changes in technology in my life time than theirs. With phones I went from a multi -party line, to a two party line, to a private line, to princess phones, finally cordless phones, and cell phone. With music, I went from reel to reel, to a record player, to 8-tracks, to cassettes, to CDs, and now digital music. I also explained I do not like headphones or ear buds, therefore no i-pod. Then there is the computer, we purchased our first computer in 1982 – now my iPhone is more memory than our first computer. I remember for Christmas in 1975 purchasing one of the first calculator for my engineer father-in-law. It cost a fortune. Twenty years later I purchased a graphing calculator for my son that cost less with more capabilities. I enjoy reading stories about different age groups and agree with Wemble, as long as the story, characters, and plot are believable and solid. I have to relate to all age groups, I have son who will be 40 in March, I have another son in his mid thirties, and one in his mid twenties. Then my grandsons are 12 & 10 and granddaughters 4 & 10 months. Having a kid born in every decade keeps this old OMA and MOM young and on her toes. We have spent years teaching Jr. High Sunday School, and our Bible was published before they were even born! It has been interesting to see the changes in them as a class. None of our first classes had phones. Now they have smart phones, and we recently had kids bring fidget spinners. Because I was in the habit of reading the books that our children were reading, I enjoy books with any ages of the characters. I find that I choose the book more because of the author, the story line, or a recommendation from someone. I especially love books that make me laugh or that make me think. Most of the characters in my reading are younger.. I have always had a love for children so I gravitate towards books that have babies and children. great post. my husband and I were talking the other day about things that have disappeared and what they have been replaced with. My husband worked on the first cell phone and has three patents from that time. But technology goes by leaps and bounds. He is still in the tech. field so he sees a lot that. when it comes to books I tend to read about those that are younger. I don’t know why. I know at church I tend to mentor those younger women. maybe that has something to do with it. I probably enjoy reading about 30 year olds the most. Younger than me. And don’t lump all 20 yr olds together. Our daughters did not have cell phones until they were 16 (driving). A choice we made and stuck to it. And I still encourage them to write letters to their Nana as I know she loves to receive them. Interesting! I do think that sometimes our reading choices reflect our relationships. I enjoy stories with people of all ages. I love that so many of our readers have such diverse reading interests! I enjoyed your post, Heather, as well as the comments. I too go for books about all ages as long as the characters are well-written and the story is engaging. I think we respond best to characters that are relatable. We may not be going through the exact same thing they’re going through, but if we can relate to the emotion or the battle, we become more easily invested in that character’s battle. Definitely younger most of my friends are much younger. I will be 70 this month but I am very young at heart, therefore I gravitate to people in their 40’s or 50’s for the most part. Most novels I enjoy the characters are usually much younger, anywhere from their 20’s to 30’s. I absolutely love your books. Thank you so much Linda! And happy early birthday to you! :-) How have you noticed your reading tastes changeover the span of your life? I know I read different things now than I did when I was in my 20s or 30s. Kids are so honest . I loved when the girl asked her mom if she was alive when they had crank cars. My kids always ask me what I was alive when they had black and white TVs? Yes I was and it was a big deal when we got a color tv. I can remember going to my granddads farm and thetbhad party lines. It was weird to me because everyone could hear your conversation. Technology has come a long way. Fun post. I am not concerned about ages of the characters, but it is nice to read a book with older characters since I am one. I tend toward historical fiction so my preferred characters are way older than I am, but actually any age is ok for them to be. My mother is 100 years old so she has seen lots of innovations. She was also born in China as a missionary kid. So culture differences, too! My husband’s grandmother went west on a Conestoga wagon and also took a trip in an airplane before she died.so she saw all forms of transportation. My older kids fell over laughing but I was proud that she actually knew who our first President was! I must say I do connect better with the mid-thirties and over crowd as my main characters, especially in the contemporary novels. Oh dear! At least she didn’t ask if you had wooden teeth! :-) I’ve discovered that while I can enjoy YA or mid-20s and up, I for some reason don’t love college-aged characters. A good book trumps that, of course, but I definitely don’t gravitate to that age group in my reading mayerial.